Topic: How to use Essential Oils to enhance your relaxation and stress level!! $15 per class or save $20 when you purchase a card for $150 for 10 classes and receive the 11th class for free. teaching us belly dancing for a different approach to fitness! those abs, buttocks, and arms all while having a blast. $15 per person or deduct it from your discount card. $150 for 10 sessions and receive the 11th for free. Participants will learn in this workshop how to become more aware of their limiting beliefs and thoughts that often block intuition which is a natural ability available to everyone. Learn and expand techniques that will help you open to a whole new world of intuition that will allow you to tap into receiving answers and guidance that can work for you on a daily basis. 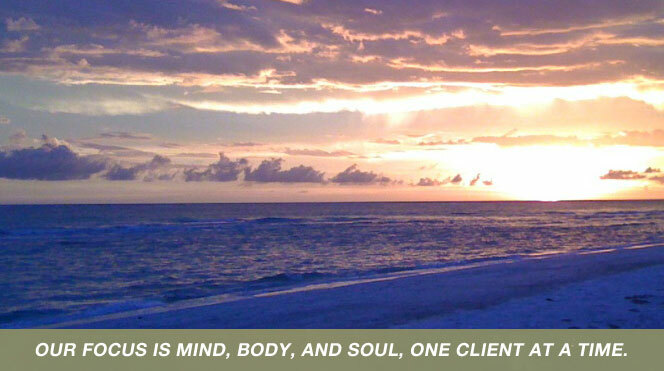 You will learn by practical hands on exercises that will enhance your own intuitive experiences abilities. This class will introduce you to Reiki I and the healing benefits which can be used for yourself and others. This day will also focus on our spirituality and how to stay balanced to strengthen our energy flow in our bodies. This day promises to be educational and rewarding! Private instruction is available by appointment. For more information, please call Anne at 407-448-0244 or Sign up on-line here. This class will introduce you to Reiki II and the healing benefits which can be used for yourself and others. This day will also focus on our spirituality and how to stay balanced to strengthen our energy flow in our bodies. This day promises to be educational and rewarding! Must have completed Level 1 before Level 11 can be completed. Bring friends and learn to relax and bond together. Sessions are $50 per hour for individuals or $15 per person with a minimum of four per group. If you wish to reduce stress in your life or simply learn breathing techniques that will help you to relax and cope with every day stress in your life. Tammy Estrada will be offering this class where she will teach the principals of resistance stretching as well as a series of self stretches in which you use your own body to provide the resistance for the movements. This type of workout will dynamically stretch and strengthen the entire body. $15 per class or save $20 when you purchase a card for $150 for 10 classes and receive the 11 class for free. 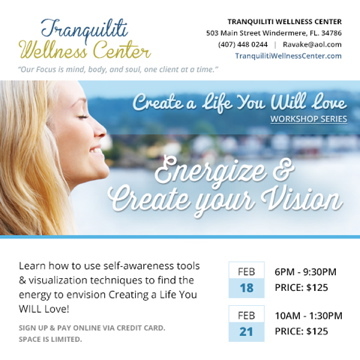 To sign up for this class please call Anne at 407-448-0244 or Sign up on-line here. Learn techniques to reduce your stress by going inward and finding your inner peace. Some of the techniques you will be learning will help you on a daily basis, to bring peace and everyday tranquility to your life. Find your balance in this invigorating yet relaxing 90-minute class. This workshop will take you through a warming, strengthening Yang practice, followed by a low, slow, completely relaxing Yin session. Exploring the complementary Yin and Yang methods will leave you feeling invigorated, relaxed and balanced! In this workshop, learn how to undo your habits of stress and return to your natural state of relaxation. You will learn tools to reduce the power of negative, anxious thinking; release tension in the body and breathing techniques to initiate relaxation. What you learn in this workshop can be applied anywhere, helping you to relax even at work or while driving in traffic. No yoga experience necessary. Pen and paper for note-taking. Join us as we relax and unwind with this 60 minute light hearted feel great yoga class. This class will help you flow smoothly while using your breath to relax your body and your mind. You will leave feeling ready and rested for the week ahead! Mats are provided. $15 per class or save $20 when you purchase a yoga card for $150 for 10 classes and receive the 11 class for free.